Friday again! This week just flew by, what with partying on a school night and all. I'm looking forward to a quiet weekend, with plenty of family time. Sounds perfect. It hit me this morning as the kids were lining up for assembly that both dads have been on Play School at one time or another. Let's face it, you're not really an Aussie star if you haven't been on Play School. If you can't win over the kids singing Incy-Wincy Spider, well, you don't stand a chance. I think Nicole, Cate and Russell have really done themselves a disservice by not being on Play School. In fact, I think we should bring in compulsory service of the arts, like compulsory national service. Before any actor/singer heads to Hollywood, they have to do a year in Play School. You know, give something back. I'll stop now and just tell you that I have the latest Play School DVD to giveaway to five readers. 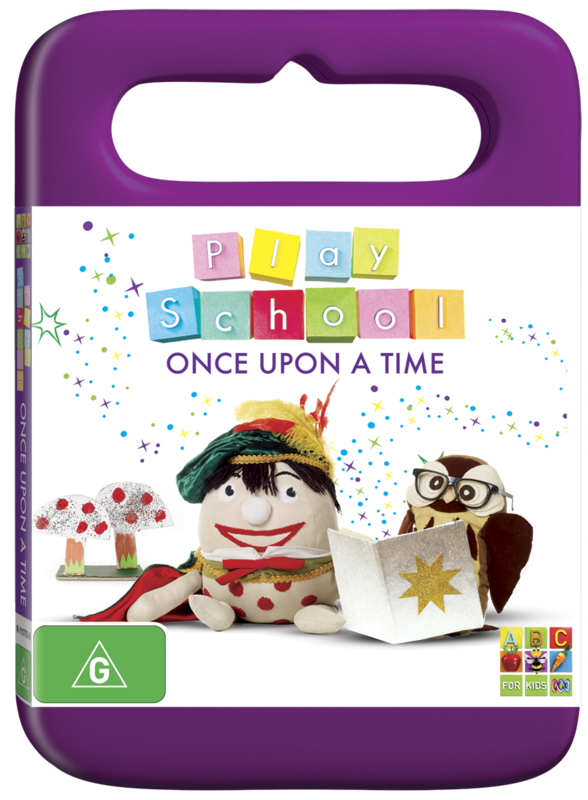 Play School: Once Upon A Time is filled with dress ups, stories and songs. 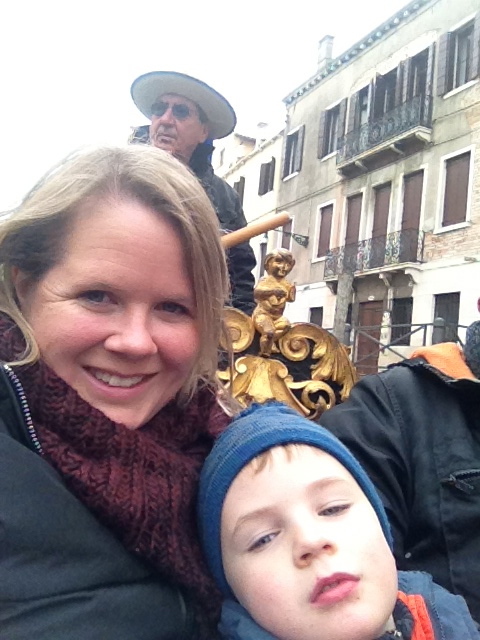 Join Karen, Andrew, Essie and Teo for all the storytelling fun. RRP: $19.95. To win, comment below and tell me about a celebrity encounter you've had. Entries close 11.59pm, Thursday April 5, 2012. Open to Aussie residents only. I've had a few that all aren't terribly exciting, but the nicest one I've had was Ray Martin. He lives the suburb over from us and I saw him and his wife at the local farmers market. He was so lovely. There were no more tables at the coffee stand so some older ladies offered he and his wife a seat at their table. Ray and his wife sat their for ages drinking their coffees and just having a lovely chat. He also did a book signing at the local library and he stayed for ages, chatting to people for as long as they wanted. I can see why he's done so well as a journalist - he has a genuine interest in everyone. As for Play School, I once saw Rhys Muldoon at Parliament House and got quite giddy! I have a bit of a soft spot for him! When I lived in Bondi I saw Keanu Reeves having a coffee. I was so star-struck I walked past him 47 times. I'm pretty sure we saw gary sweet on a snorkelling trip out of Dunk Island in 08 but our screaming 6 month old made it tricky to check properly. I also live in front of Jeff Newmans house (retired channel 7 weather man) does that count? How funny, we have quite a few actors & sporting stars around our area too. Mind you, I never recognise them, it's always Scott pointing them out to me. It's amazing just how 'normal' they are, just blending in with all the other Mum's & Dad's, doing what we do. I've had dinner at a table right next to Kevin Spacey which had me quite starstruck as I think he's awesome! I loved how it was at an everyday cheap and cheerful restaurant . I often assume the celebs are off fine dining and getting VIP treatment all the time but they must just want to blend in with the rest of us sometimes! My workplace organised for MEM FOX to speak & sign her books at an event. She is such a genuine, warm, funny woman. I got to see her behind the scenes, not just the public person up on stage. If you have ever read any of her picture books like KOALA LOU, THE MAGIC HAT, POSSUM MAGIC and WOMBAT DIVINE you will know how brilliant and talented she is. When she 'read' some of her stories I was not the only one sobbing. She signed all of my copies of her books. Mem Fox was gracious and I love her even more now. The look on my then 2 year old's face when he met the play school crew at a concert - priceless. My most embarrassing celebrity moment was almost knocking over Ewan McGregor on a flight of stairs, I was most horrified and quickly apologized and ran in the opposite direction! All class I am! Not many celebs in our parts... but we did run into some of the crew from neighbours! We were in a cafe with our newborn son when Roberta Williams walked in and headed up the back to sit at a table of tough looking guys with suits. As we went to pay she made a beeline for us and we held our breath. She said she wanted to tell us... how gorgeous our son was!